Continue your study of the tongue by reading the rest of the verses listed under “Speaking” in the “Encyclopedias / Dictionaries” section of Blue Letter Bible. Study the Israelites and their grumbling. What did they complain about? What did they need to remember? How did God treat them when they complained? 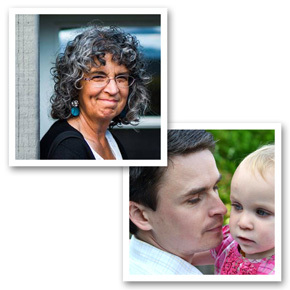 Use the “Encyclopedias / Dictionaries” tool on Blue Letter Bible to study the duties of parents as they are outlined under Torrey’s New Topical Textbook. Read the book of Proverbs and categorize the verses under different topics such as sloth, gossip, anger, etc. When you are finished, you will have your own topical Bible to turn to when disciplining your children. Study the fatherhood of God. Open the “Encyclopedias / Dictionaries” tool and search on God. Click on God [E,N,T,V,B]. Scroll down to the Nave’s Topical Bible listing, and then quite a bit further down to God: Fatherhood of. Read these verses to learn more about God as our Father, and to help you imitate His fatherhood in your parenting. Read the Gospels, noting every time Jesus interacts with His disciples. How does He teach and train them? How does He handle potentially frustrating situations with them? 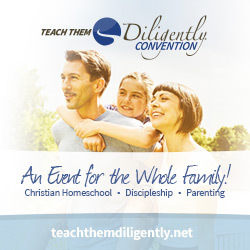 What can you learn from His example as you disciple your children? Complete another Busy Mamas Bible Study. 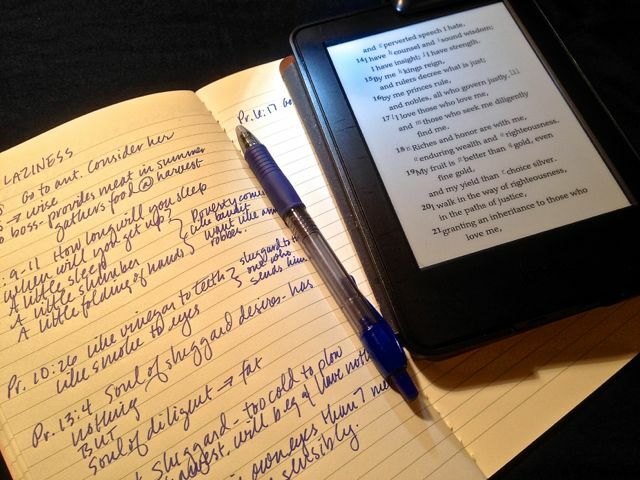 Look in the blog archives (in the right-hand sidebar) for studies on Colossians 3, Psalm 37, 1 Corinthians 13, Proverbs 31, Philippians 2, 1 John 3, Psalm 103, Isaiah 53, and Romans 8, or purchase a print or eBook version of the first four listed. Do the studies in Beauty in the Heart, to learn additional study methods while studying godly beauty. Use For Instruction in Righteousness to help you locate and read verses on common areas of sin that families face. 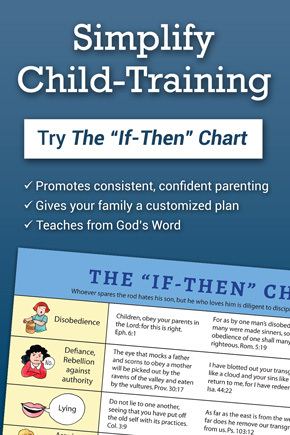 Use the book’s suggestions to help you pattern the discipline of your children after God’s dealings with us. Hidden Treasures will give you all sorts of ideas for studying the book of Proverbs together, plus over 100 drawings for the children to identify the proverb illustrated while you read a chapter aloud. Beauty in the Heart will teach your daughter (and you) several Bible study methods, step-by-step, while she finds out what God says about true beauty. Because You Are Strong can help your sons learn how to study the Bible while they also learn about genuine strength. The Love Is Chart can walk the entire family through a child-friendly study of 1 Corinthians 13. The Brother-Offended Chart can help the entire family learn how to resolve disagreements in a biblical manner. And be sure to join us again in November when we study the 8th chapter of Romans for the entire month! It will be an amazing chapter to study! Our goal is to encourage and equip you for the important, but challenging, job you have as you raise your children for God’s glory! You are doing kingdom work every time you change a diaper! Hello, Is there one location on your website to locate your Bibel studies in one place & in order?